Under the direction of founder James R. Cassidy, The Kentucky Symphony Orchestra makes 1900s history, science and past pop-culture relevant and fun by relating its thematic programs to current local or national trends and topics. True to KSO form, program variety is again the element that makes this regional symphony and its thematic offerings appealing to numerous audiences. From silent movies to ballet scores or 4 minutes, 33 seconds of silence, from a wildly talented beat-box flutist to an accompanied NASA voyage and a retrospective of the tales of two iconic bands, the KSO’s 23rd Subscription series truly has something for everyone. The series opens on Saturday, October 11th at 8pm, with Harold Lloyd’s last silent comedy Speedy (1928), which includes a battle between an electric streetcar and a horse-drawn trolley through the streets of New York—including a cameo by Babe Ruth. Carl Davis penned a jazzy, Roaring ‘20s-style score for the film in 1992. A silent film short and some musical hits from 1928 precede the featured classic. The KSO has played nearly 700 works in its 22 seasons, but it still hasn’t gotten to some of classical music’s Top 100. With the program on November 22, the KSO checks the standards — Ravel's La Valse, Sibelius' Finlandia, and Stravinsky's Petroushka off the list— plus a unique experience from John Cage. Classical composers have long looked to their predecessors for inspiration, whether it’s form, style, or the occasional tune. In this program, Prokofiev, Ravel and Respighi reflect on Couperin, Haydn, and others, while 18-year-old flute phenom Annie Wu makes her regional debut as soloist in Lukas Foss’s Renaissance Concerto — and performs her YouTube channel hit—“Three Beats for Beat-box Flute” Performances are 8 p.m. Saturday, March 14 & 3 p.m. Sunday, March 15, 2015. On Saturday, April 11th, the Kentucky Symphony Orchestra reconnects with the Cincinnati Observatory to offer a 20th Century favorite—Gustav Holst’s, The Planets, accompanied by amazing NASA photos. With a tip of the hat to Earth Day, the KSO performs the powerful and moving “Apotheosis of This Earth” by Karel Husa. Telescopes will be set up to catch Jupiter and Mars at intermission and following the concert. In 1968, rock and jazz musicians came together to form two legendary horn bands, one in Chicago the other in New York. Though their instrumentation is similar, their paths, sounds and stories are quite different. The KSO’s Boogie Band, a studio orchestra with vocals, covers the hits and the history of these two iconic groups, which are still touring 46 years later. The KSO and The Carnegie (theater) team up for three evenings (May 7,8,& 9 at 8 p.m.) for a tribute to the sounds of these two stellar bands and their hits (1969-2014): “Spinning Wheel,” “25 or 6 to 4,” “You’ve Made Me So Very Happy,” “Just You and Me,” “And When I Die,” “You’re the Inspiration,” and many more. With both traditional and flexible subscription pricing, patrons can create a package that best fits their schedule and wallet. Single tickets are $35, $27, $19 (children 6-18 are 50% off). College student rush tickets may be available for certain shows. Contact the KSO at http://www.kyso.org / (859) 431-6216. The Kentucky Symphony Orchestra takes the “phony” out of symphony through its people-friendly, thematic concerts that culturally enrich, educate and entertain the residents of Northern Kentucky and Greater Cincinnati. 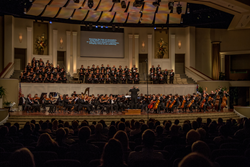 The KSO performs throughout Northern Kentucky offering three series of concerts, for the schools, in the parks and various indoor venues across the northern three counties.